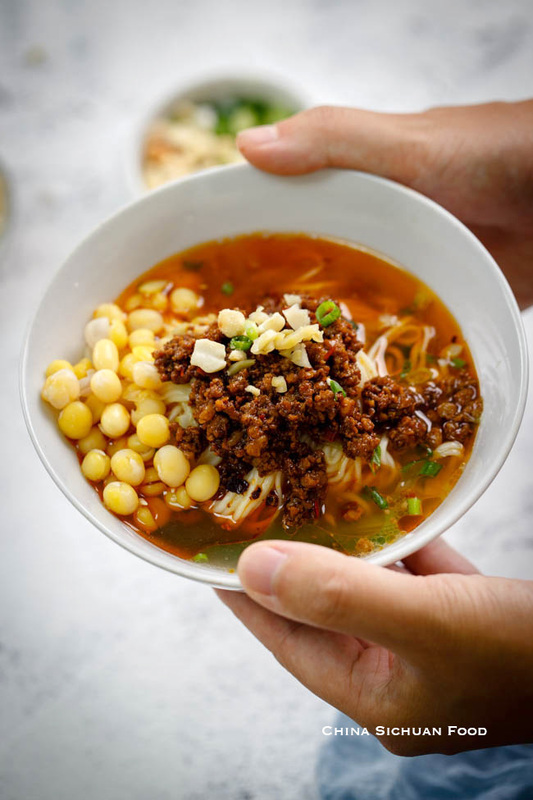 Another Chongqing five-star noodle soup recipe—wan za mian(豌杂面), meat sauce noodles with peas.Please do not be scared by the list of ingredients. 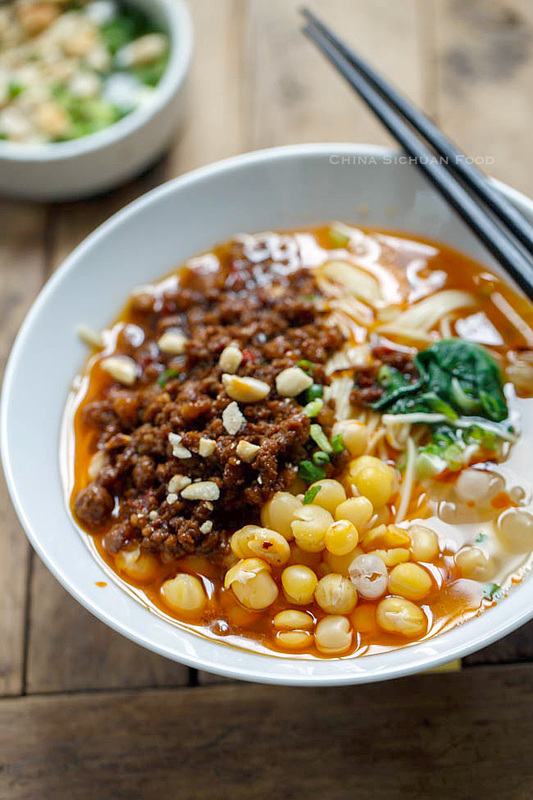 It seems to be quite complicated but you can enjoy several bowls of yummy meat sauce noodles after one time efforts. I believe that all of you know that Chinese loves noodles. 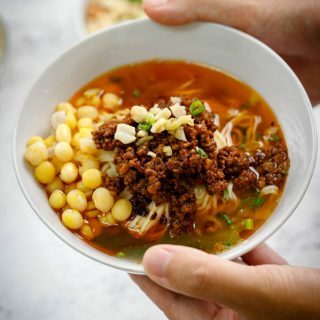 But as a common sense, we think the yummy noodles are usually come from the Northern cuisines, for example we have famous Lanzhou lamb noodles. 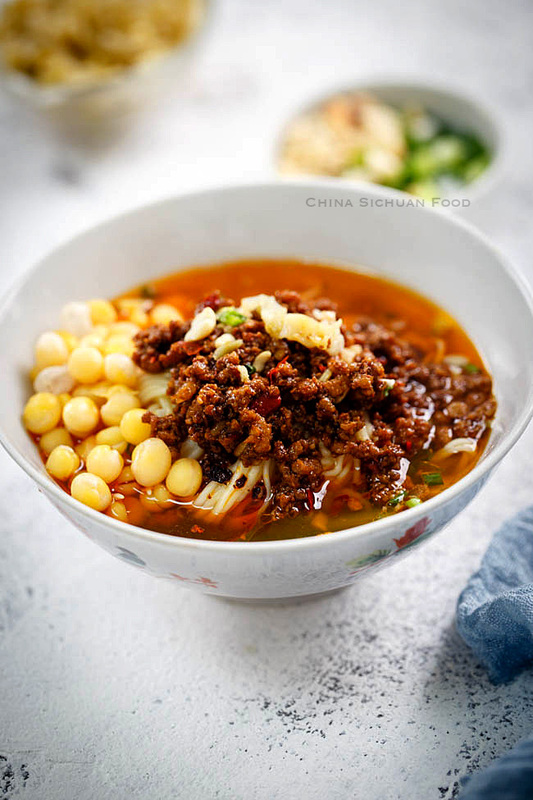 Recently in China, we have a new star, called “small noodles” 小面, coming from my hometown, Chongqing, one of the four Municipalities locates in Sichuan province. “Small noodles” actually refers to a group of noodles. They can be simplify flavored with seasonings or topped with different types of toppings (braised beef, pork with pickled mustard ). 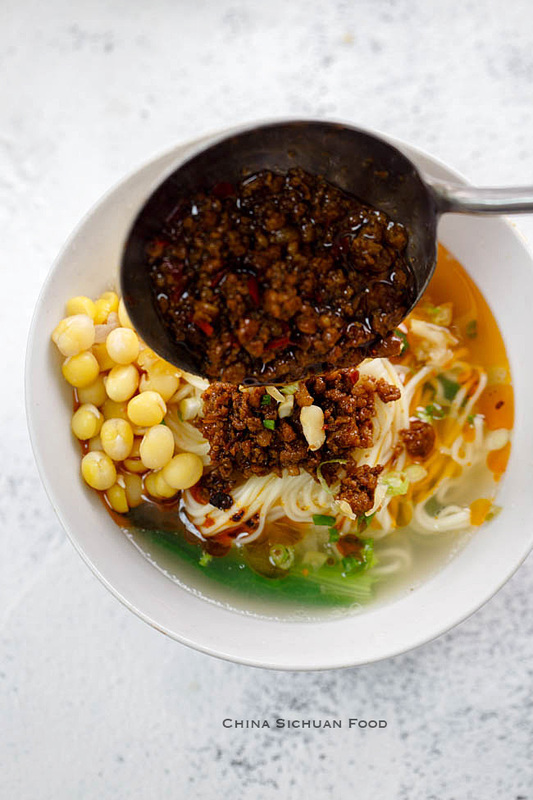 The most popular one among our locals is this meat sauce noodles with peas. 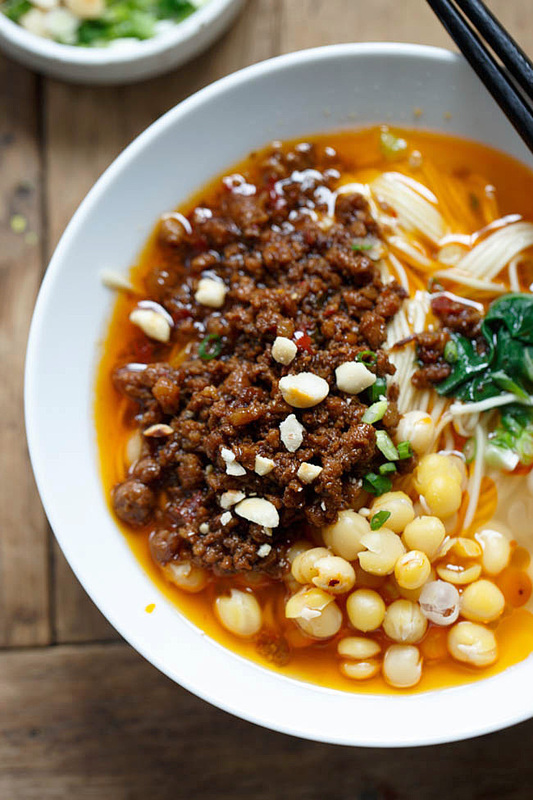 Hearing meat sauce noodles, you may think about the famous Peking style fried meat sauce noodles (炸酱面). The two actually are actually sister dish in my hometown. But they are quite different from texture to taste. 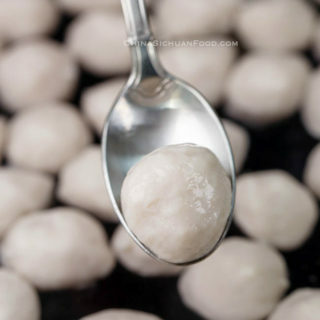 If you want to give this a try, you can serve this with large parties. 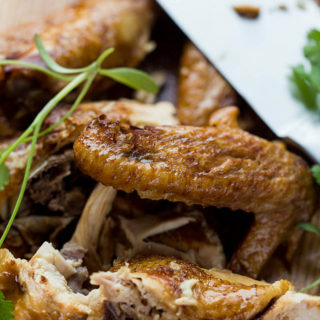 It can be prepared ahead and quite simple to serve for a large group of people. 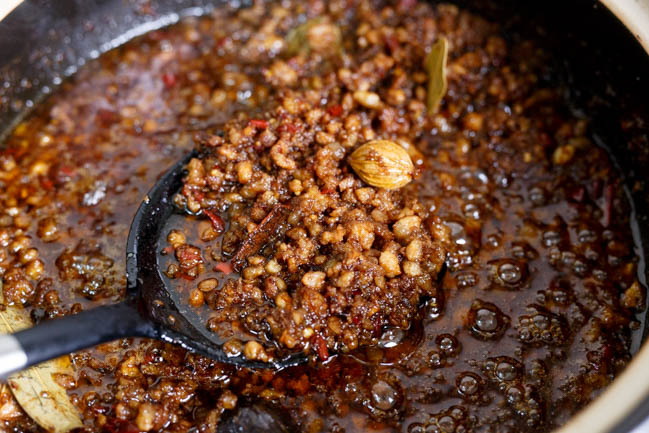 Make the sauce: Heat your pan firstly and then add 1 tablespoon of oil, place the ground pork in. Fry for 2-3 minutes until slightly golden brown, add cooking wine. Move them to the outside round of the pan. Add doubanjiang, garlic and ginger in the middle and fry until aromatic. Add tianmianjiang. Place in spices and sugar. 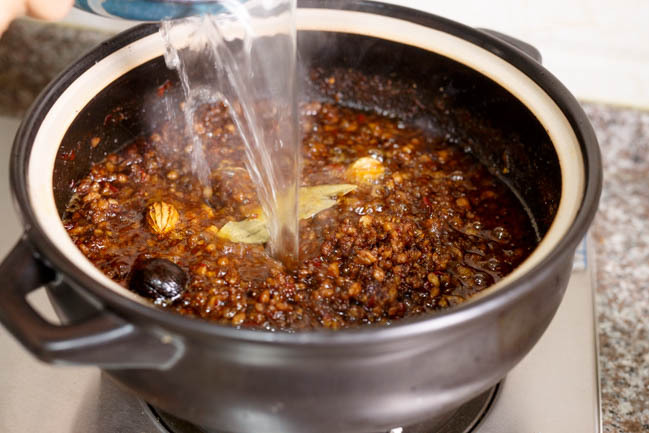 Add 3 cups of water or stock and simmer over slowest fire for 40 minutes to 1 hour until the sauce is well thickened naturally. Pre-soak the peas until soft at the night of the previous day. 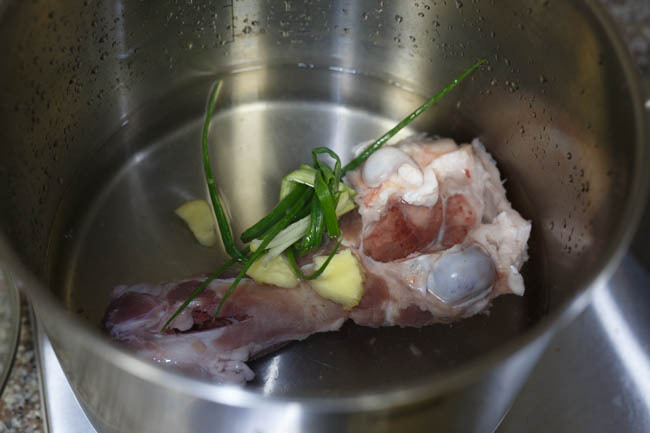 Place pork bone in a deep pot and add enough water, throw one scallion and several slices of ginger. 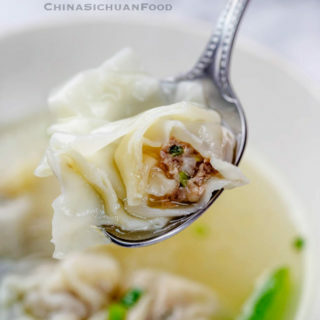 Bring to a boiling and then continue cooking for 2-3 minutes. 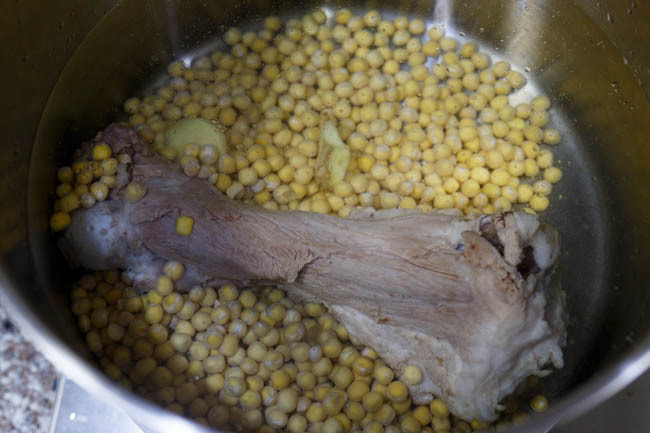 Pick the bone out only and discard the liquid. Place in a large pot with 5 Lwater, add pork bones and the peas to stew over slowest fire for 2 hours until completely softened. If you need to stir the soup, be gentle and do not break the peas. Or you can use a high pressure to cook for 45 minutes. 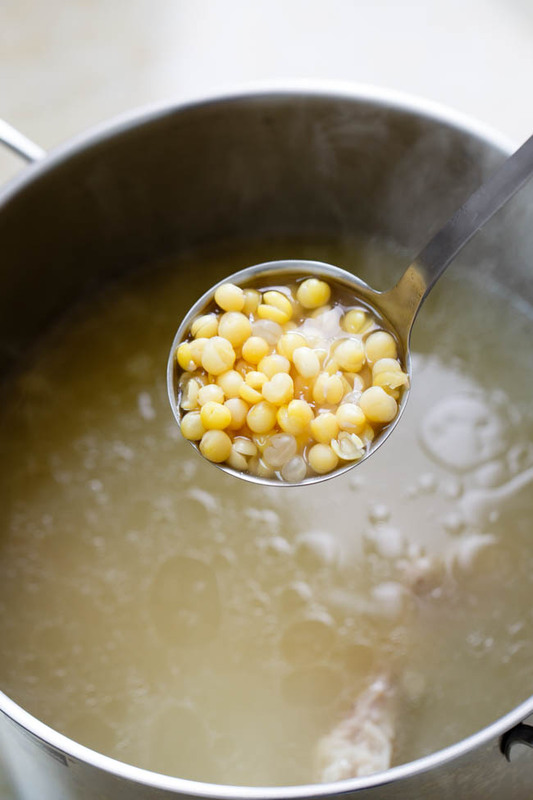 Add salt to make a soup have a slight salty taste. We will have our light soup base for the noodle. 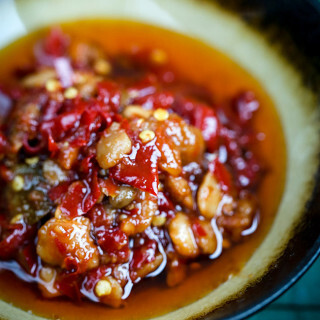 In each serving bowl, add sesame paste, light soy sauce, chili oil, sugar, garlic, scallion and vinegar. Mix well. 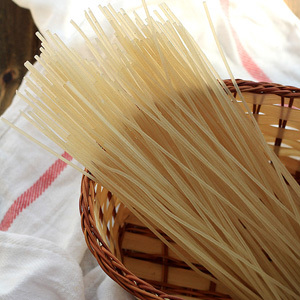 Bring enough water to a boiling in a pot and cook the noodles. At the last minute, add some dark green vegetables. Scoop the soup base for cooking the peas to the serving bowl. Transfer the noodles in. Top with meat sauce and stewed peas. 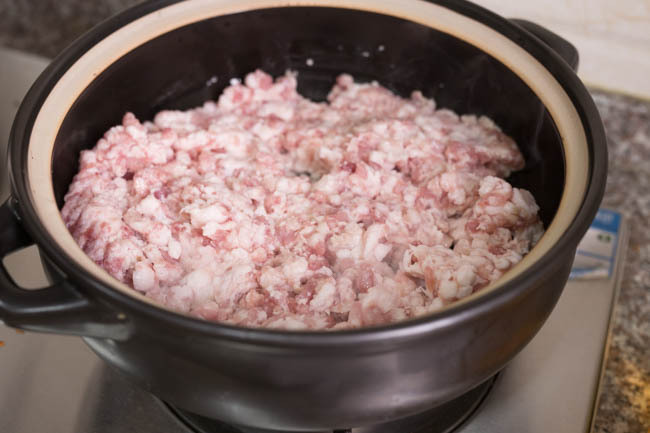 Place in a large pot with enough water, add pork bones and the peas to stew for 1 hour until completely softened. If you need to stir the soup, be gentle and do not break the peas. Move them to the outside round of the pot. 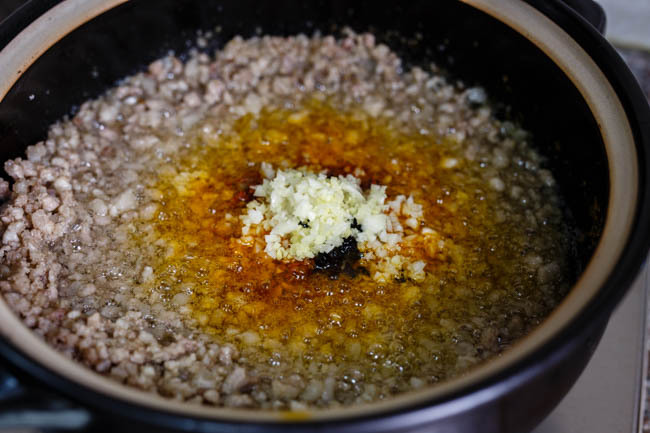 Add doubanjiang, garlic and ginger in the middle and fry until aromatic. Add tianmianjiang. Stir to mix well. 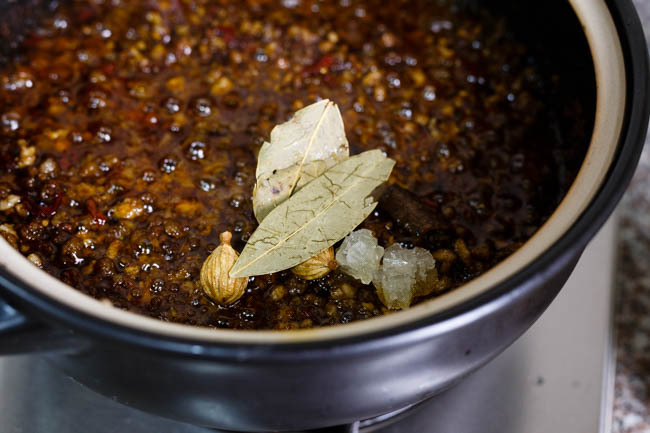 Place in spices and sugar and continue frying for couple of minutes. Bring enough water to a boiling in a pot and cook the noodles. At the last minute, add some dark green vegetables. Scoop the soup base for cooking the peas to the serving bowl. Transfer the noodles in. Top with meat sauce and stewed peas. Specifically, what kind of pea did you use? 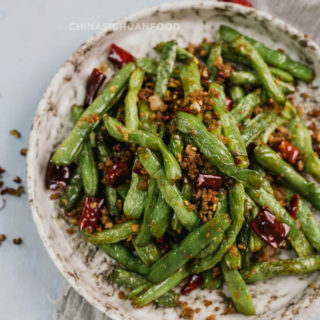 I use dried snow peas. 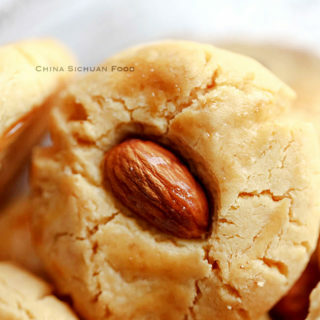 Is there a substitute for sweet wheat paste? I am allergic to wheat. You can skip it and slightly increase the amount of soy sauce until achieve an acceptable salty flavor. Those look like sweet corn? And the chickpea broth is the stewed peas? Can I omit sweet wheat paste because there is already sugar? We don’t like things too sweet. 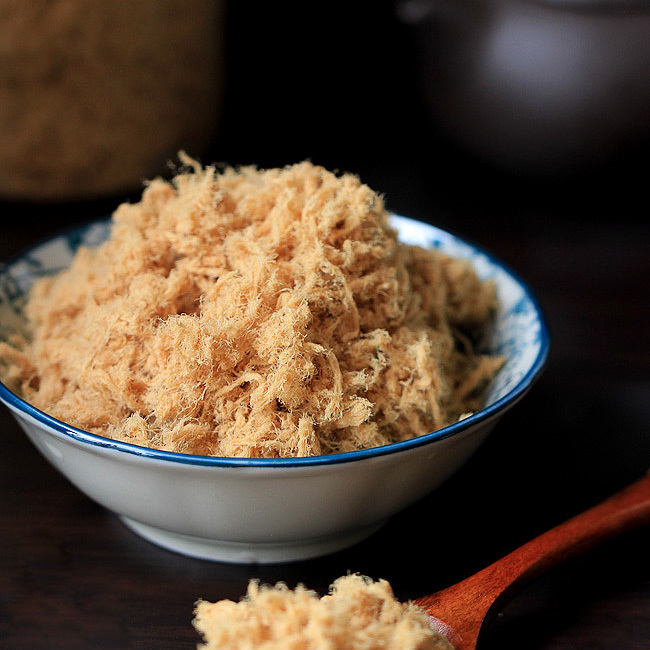 Chinese sweet wheat paste actually is actually a savory paste, with a hint of sweet flavor. So there will be no overwhelming sweet flavor in the sauce. But it is ok to skip this paste and increase the amount of soy sauce. This was a phenomenal dish! 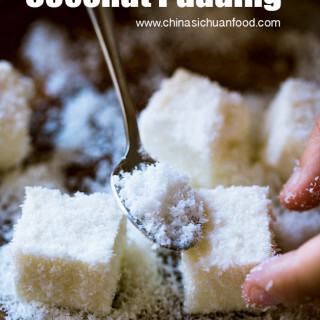 The family loved it, and you helped me overcome my fear of using Sichuan peppercorn powder! I now cannot wait to prepare more authentic Sichuan Dishes with this ingredient. Thank you for your web site and your recipes. This is slightly complex and I am quite worried about whether this one will be tried. Glad to know you follow the steps and make a lovely meat noodles. 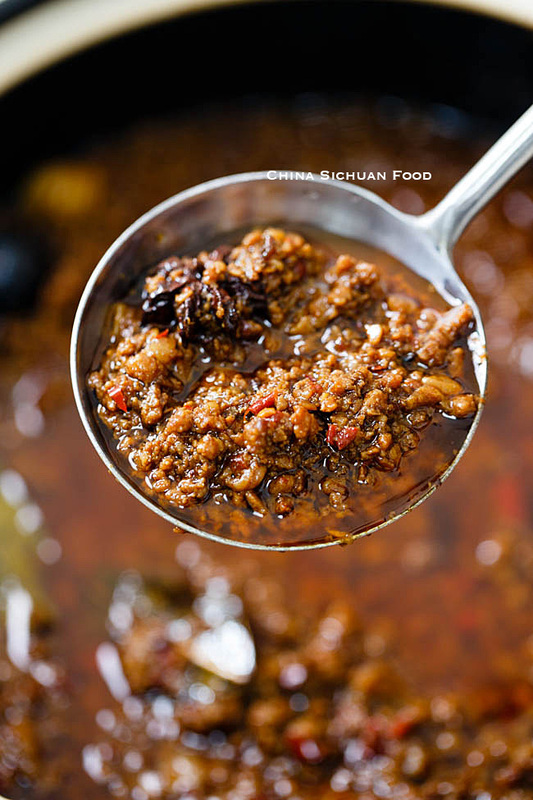 You will fall in love with Sichuan peppercorn after trying. Happy cooking! This is our local star. 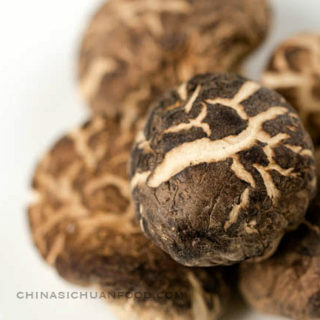 Completely unknown outside China but enjoy highest popularity in its home town. Try it and I believe you will love it very much. This was so delicious and has a balance of complex flavors. I used Japanese miso because I don’t have access to Chinese sweet wheat paste, and I couldn’t find snow peas, so I used another small pale bean. It may have been a bit different, but oh so good! It really wasn’t that difficult as once things got going on the stove, it’s possible to do other things. It’s a perfect soup for a cooler day. Thanks for the delicious recipe!